Anytime your car needs transmission repair in Peoria, the shop might be able to fix it quickly. One of the very easiest sorts of repairs involves fluid in the engine reservoir. The repair shop will start the inspection from this point when bring your car in. The fact is that your car will operate great if the transmission is running the way it should be. If anything goes wrong though, the car will not drive well. It will drive roughly, and will have trouble shifting or moving. And even though the car still may be working, if you do not get repairs done soon, it may quit. It may quit at the most inconvenient times, too. This creates another problem. If your car stalls on the highway, you will need to call a towing company. This means that you have just inherited another bill. So make sure you choose an experienced repair shop for your transmission repairs. Do I Need Transmission Repair in Peoria? Recognize the Signs! When you need a transmission repair done on your vehicle, you will see symptoms such as the “Check Engine Light” is on, leaking fluid, strange noises such as clunking, humming, or whining from underneath the rear or the hood of the car. Other symptoms comprise of your vehicle shakes as the speed picks up, when you rev the car engine and the car stays in place, and you don’t have no response or a just delayed response when the gear shifts. Since it is your car, you will be the first person to observe all these strange movements. Explain them to the technician along with any other odd symptoms. 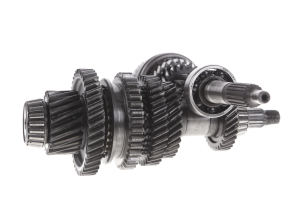 If your gear doesn’t shift properly, you might have transmission problems. If it is hard to shift when your car is in gear it is a sign that transmission repair may be on the horizon. This could indicate any number of things, but most likely means something must be done to fix the problem before it gets worse or the car stops going at all. The gears grind as they change or make a loud buzzing or humming as you speed up. A chemical smell is another sign. A burning or chemical smell could mean a leak or a sign of overheating, both of which require immediate transmission repair. Not only is there a risk of bad failure but also there is a chance of the whole vehicle catching fire if fluids hit hot exhaust tubing. So take no chances. Take your car into a transmission repair shop in Peoria.